Once again, Kids in Motion Pediatric Therapy Services is very proud to sponsor a Sensory Sensitive Santa event in partnership with the Huron Valley Recreation & Community Education Program for families who may not be able to visit Santa in a loud or crowded setting. It will take place on Friday December 7th 4:00 – 6:00 pm at the Apollo Center 2029 N. Milford Rd. Highland MI 48357. Please share this opportunity to join us in a sensory-sensitive setting where we will watch holiday favorites, have the opportunity to do some holiday crafts and visit with Santa (if and when ready-no pressure). Parents will be contacted to schedule a time to visit with Santa. Parents are welcome to take their own family pictures during the entire event, including time with Santa. And just for fun, everyone is encouraged to wear their favorite pajamas! This event will be totally self directed, move at your own pace – time slots will be available for a private visit with Santa! Come for as much or as little time as you wish. Limited spots available. Families can register here: http://www.hvs.org/activities/hvrce/special-events/ and scroll to the Sensory Sensitive Santa. 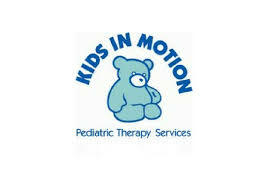 At Kids In Motion, we are here to help children of all abilities reach their full potential. We do offer free screenings by appointment to anyone who may have concerns about their child’s development, they need only call. Please contact us if we can be of assistance in providing therapies to area families or school staffing solutions and thank you for sharing this worthwhile event.